For the years before I met my husfriend, I was very much addicted to eyelash extensions which removed the need for Mascara in my life. But in recent times, as I've taken on a much more 'natural' look, I've begrudgingly returned to the world of mascara use. 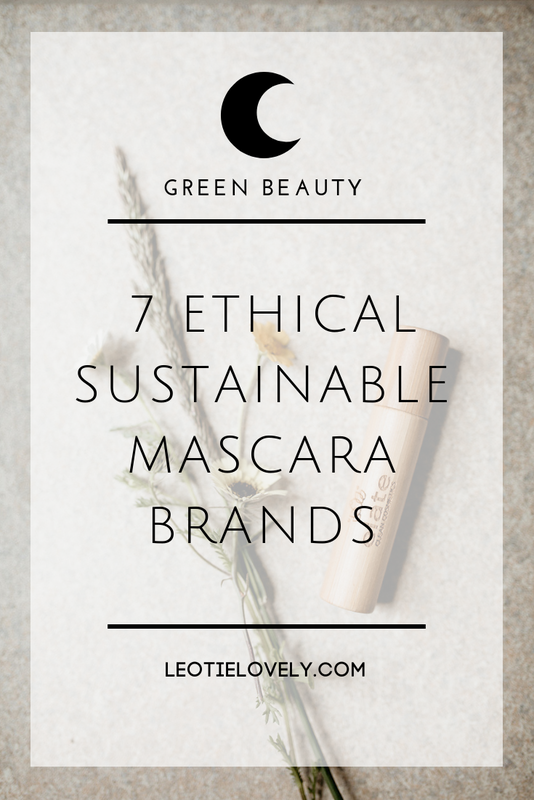 Before the eyelash obsession, I had used a Maybeline product that a makeup artist on a film set had told me 'was the best', but since embarking on this #GoneGreen2016 path, I've searched out and tested a few eco and ethical mascaras to might enhance what my mama gave me without adding fist fulls of toxins to what remains of my precious lashes. An Ontario-based research which analyzed 49 popular makeup brands like Maybelline, Wet and Wild, L'oreal, Clinique ect.. for the presence of arsenic, cadmium, lead, mercury, beryllium, nickel, selenium and thallium (four of which are banned in Canada). They found all the toxins but mercury in every tested product (they tested all your drug store / department store brands). The toxic ingredients included in Mascara are toxins like Butylparaben, Ethylparaben, and Propylparaben, which cause skin rashes and dermatitis; parabens which resemble estrogen and thus are known as endocrine disruptors. Then there are the synthetic colours, which are believed to be carcinogenic, usually labeled as FD&C or D&C, followed by a colour and a number. The effects of the toxins, which can be absorbed through the skin, is a worrying roll call of health problems, including hormone disruption, cancer, neurological problems, memory loss, mood swings, reproductive and developmental disorders, kidney problems, headaches, vomiting, diarrhea, lung damage, dermatitis and hair loss. Buy from brands who have a full list of ingredients which are completely natural and sustainably sourced. If you don't know what one of the ingredients are, look it up on EWG or just google it to find out what it is and how it affects your health. On top of the personal health issues, there are issues with where the chemicals we don't ingest go once we've used them. Cosmetics and personal care products are hugely harmful to the environment as they wash down our sinks and into the biosphere, finding their way into our lakes, rivers, streams, and public water systems, which affect us and our ecology. On top of GMOs, parabens, phenoxyethanol, nanoparticles, silicone, PEG, perfumes, and synthetic dyes which cause harm to our own health (ie// cause CANCER), there are other ingredients to look out for: P-phenylenediamine is a coal-tar derived chemical which diminishes animal plankton, alters fish behavior, and causes death in many aquatic species. BHA and BHT, are synthetic antioxidants found in mascara as well, which cause death in fish and shellfish. They've also been known to cause genetic mutations in amphibians. 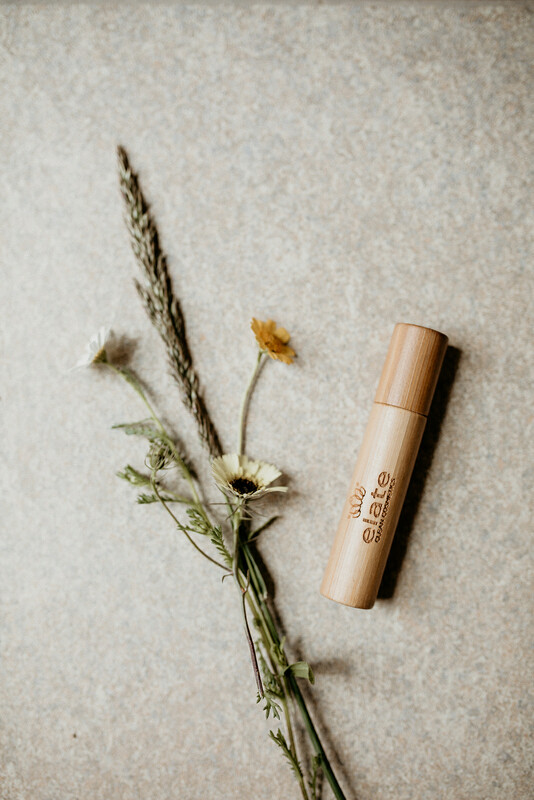 Use the EWG or google to find out where it comes from if it biodegrades, and whether it harms you, the planet or her inhabitants during its lifecycle. If it does, find something else. There are sustainable solutions for just about every evil product these days, it's super easy to make the switch to something sustainable. Greenwashing doesn't hold its place in the fashion industry alone. Just like the word 'natural' means nothing in the food industry, in the cosmetics industry, it can't hold its ground, as there is no governing body overlooking the use of that word. As the demand for 'natural' ingredients has increased, as had the interest of big business in producing with natural ingredients. This is a big win on the surface, but in actuality, it calls for more farming and mining at a cheaper price, which in turn increases the use of pesticides. Which cause health harms to the farmer, their community, and you, and exploitation of human rights. It's hard for big business to slow down when profits require them to keep up at a speed which isn't sustainable in any definition of the word. 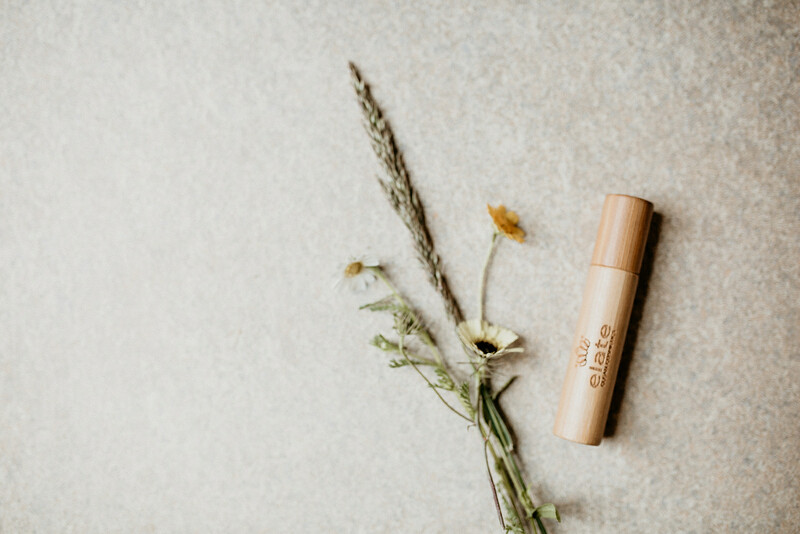 Buy from smaller companies who produce with 100% natural products derived from renewable resources, sourced sustainably, and transformed by environmentally friendly processes. Only buy from companies who are kind and transparent. If you're interested in a product and the company doesn't list or can't tell you how their ingredients were sourced, if they're organic, or if they've used green processes in their production, ask them. If they can't give you a straight answer, thank them kindly, suggest the changes you'd like to see them make and move on to a consciously produced product instead. It is no secret that the cosmetics industry tests their products on animals, nor is it a secret that it does so with cruelty. What we know less about is the ingredients like Carmine, which is made from smashed up beetles, and other such unkind ingredients. You can read more about the animal ingredients in cosmetics on PETA's website HERE and decide what sits right with you, and what doesn't. LOOK for the cruelty-free symbol(s). You can click HERE to learn more about what symbols to look for and what they mean. Using products which are harmful to the planet and her inhabitants is completely avoidable. Vote with your dollar against the evils of the cosmetics industry by supporting cosmetics which are kind! The cosmetics industry and personal care products, including mascara, are mostly packed in plastic. Plastic is an oil derivative which is a non-renewable resource. It also doesn't biodegrade and in many cases is very difficult to recycle. Buy your products in biodegradable, reusable, or recyclable packaging. In my hunting, I created a small list with the help of some of my Ethical Writers Coalition buddies of seven brands who sell worldwide and meet (most of) my five-set rules. 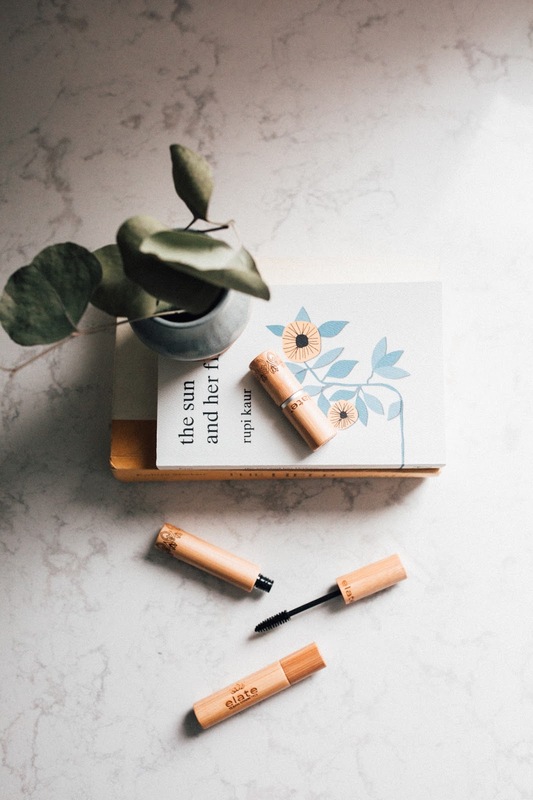 These are brands made from sustainably sourced organic products, free of toxins, cruelty-free, and packaged consciously. If you know of any others who fit the bill, please let me know in the comments below! There are a few which have traces of Palm-Oil which I wouldn't normally recommend, but only just found out about. I just ordered the Root one on Magdalena's suggestion. I'll let you know if I like it.